Join us for Arts Council Committee meetings if you have something you’d like to discuss or learn more about. The committee meets on the third Tuesday of each month at Walker Place (37th & Bryant) at 7 pm. The next meeting is scheduled on Tues., April 19, 2011. The Memorial Chapel at Lakewood Cemetery is listed on the Register of National Historic Places and considered the most perfect example of Byzantine mosaic art in the United States. Completed in 1910, six mosiac artists from Italy created 10 million tile pieces for chapel’s stunning interior. Pick up a Chapel Tour Guide at the Administration Building and visit the exhibit “Lakewood Memorial Chapel: 1910 to Today” in the Chapel’s lower level. 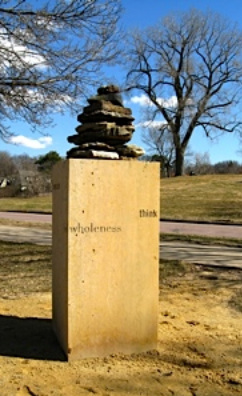 In 1999, The Minneapolis Arts Commission selected the East Harriet Farmstead Neighborhood and Lyndale Park as a site for the Neighborhood Gateways program. On Nov. 15, 2008, a mural was unveiled at the Southwest Senior Center building in the East Harriet neighborhood. The project was thanks to a grant received by the Senior Center from the City of Minneapolis. Many in the area participated in the project including Barton School students, the Senior Center, Girl Scout troops, neighborhood residents, and more. Artists from Mosaic on a Stick led the creative process. Thanks to all who took part! This event was funded by the City of Mpls. Innovative Graffiti Prevention Micro-Grant, Volunteers of America-MN, and CARAG. Partners were SW Senior Center, EHFNA and CARAG, Barton Open School and Mosaic on a Stick.